Every pharmacy wants to make the process of managing prescriptions more easy and efficient for their customers, thus keeping the needs of all those pharmacies this advanced smart refill solution has been engineered allowing patients to refill their prescription just with a click. This electronic solution brings together the features of prescription management and ordering medicines on the go. Smart refill pharmacy software eliminates the confusion and inefficiency of paper prescriptions and gives you the flexibility to order refill anytime, anywhere. Smart refill also helps you to improve workflow efficiency and customer service. 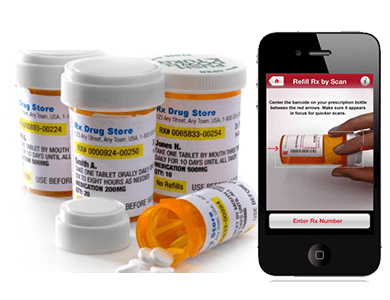 An innovative technology of smart refill solution allows patients to communicate with pharmacies via two-way interactive mobile application that runs on various Android devices. It addresses customer refill requirements improving the convenience and ease of filling prescriptions. Additionally, it gives you the power, flexibility, reliability, and speed of refilling prescription. How Smart Refill Helps Patients? 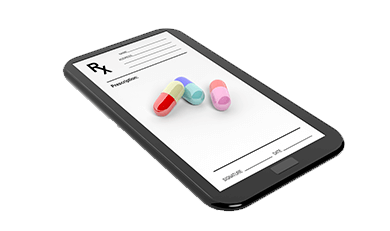 Smart refill pharmacy software solution is not just smartly made but it is an intelligent software that perfectly handles the online request of patient's prescription refill. Smart refill for prescription renewal or refill provides patients the ability to request a medication through a mobile device, without a need to call or visit their healthcare provider. If we describe smart refill in simple words then it is one-stop solution for your prescription refill request. One-tap solution for refilling your prescriptions. Easily send request to your local pharmacy on the go. No need to visit or call your nearby pharmacies to place refill request.